Welcome to Day 6 of our 12 Days of Children’s Books Gala Giveaway. I’m part of an amazing group of writer friends who specialize in writing engaging nonfiction for kids. We’re the Nonfiction Ninjas! Pat, thanks so much for visiting my blog today and offering readers the exciting chance to win a copy of your children’s book. Pat, do you have a favorite book that you have written? Yes! The Hole Story of the Doughnut is my favorite because it introduced me to the magical addiction that is research. Tracking down a true story, something like a crime scene investigator, is much more exciting for me than creating a fictional world. How did you get the idea to write about the true story of the doughnut? My husband and I were on a tour boat in Boston harbor when the guide gestured vaguely and said, “Over there is where they buried the guy who invented the doughnut.” My first thought was, “We know who that is?” My second thought was to find out who it was. That research led me in surprising directions. What was surprising in your research? The very first thing I learned about my inventor (Captain Hanson Gregory) was from a 1916 census record that showed he was an inmate. Yikes! Was my subject a prisoner? Hopefully he wasn’t a murderer! But further scrutiny showed he was an inmate (resident) in a state home for retired sailors. Whew! And then there were all the tragedies in his life. I actually cried for him and his family. Thanks, Pat, for sharing both the joys and the heartache behind writing nonfiction for kids. It was great to hear more of the “story behind the story”! Visit our brand new blog for children’s writers. CLICK HERE to go to Nonfiction Ninjas, and post a comment! 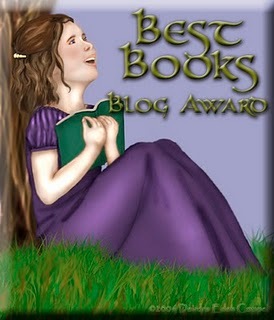 Be sure to stop back here on my blog tomorrow for Day 7 of our Gala Giveaway. You can enter your name for a chance to win our next featured children’s book. We’re giving away 11 amazing children’s books during our Gala Giveaway. And on Day 12, we’ll announce the winners, here on my blog. I hope you’ll be one of them! It was so great to learn more of the whole story behind the hole, Pat! Thanks so much for sharing. I met Pat at a conference and enjoyed getting to know her. I have her book, but if I win, I will donate to my library. Lucky you…to have met this amazing author AND already have a copy of her wonderful book. What a phenomenal title! Love the play on words. Great topic as well. Congrats, Pat on your PB. Ditto! Such a clever title. Some books are better than their title, others less engaging than their title suggests. When both match? Superb. Good day for a giveaway! Thanks for the great treat. So glad you’re joining us in our special event! I think the students in my library would love this book. It’s certainly a winner for libraries!